The lefties are in general experts in deception. For one, they use disruption and blackmail as replacements to what is required in a civilized society – most significantly truth and transparency in public discourse, stability of state and society, and respect for institutions processes and their proper functioning. The recent phenomenon of AAP is not really different in this matter. 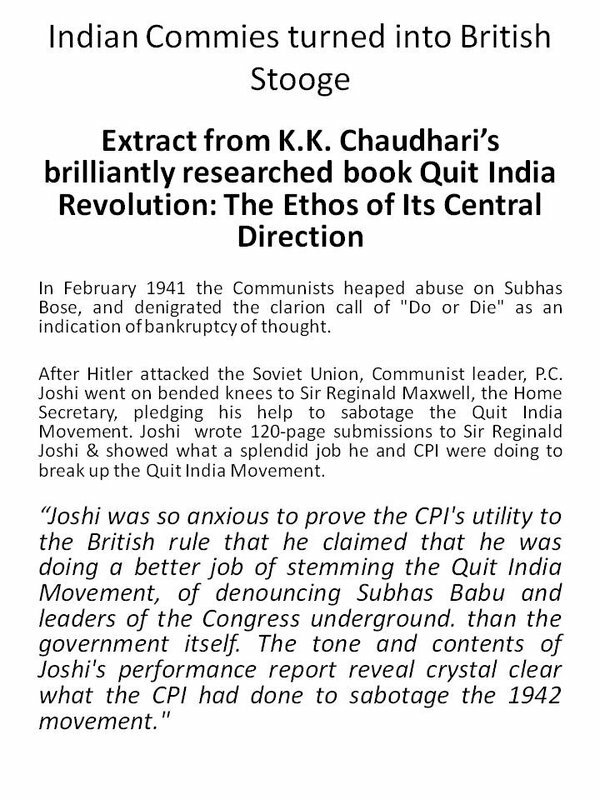 Whether it is moralizing to others without having any morality themselves, assuming a pedestal to escape scrutiny, looking for soft targets, immoral use of public emotions, conflating goals with high sounding and vacuous theories, essentially AAP is through and through commie. Their discourse is best described as ‘Sermon on the Streets’ – something meant to catch following with no clue what the following is for. What Kejriwal demonstrated inside and outside of government is his absolute lack of accountability. When making false allegations, he is not accountable because his goal is not to ‘prove’ – after all his goal is what matters, not his action, and he is not accountable either to society or to state in any matter! He can go blackmailing the society and state with disruption. And worse, he can do that even as CM of a state when his primary responsibility is to ensure no disruption actually happens. Given that Kejriwal’s ascent to power happened without a clear majority, his primary role one would expect is to set things right in Delhi before initiating things that require a bigger mandate. Yet he does things entirely opposite, and without showing any consistency or commitment to his responsibilities resorts to blackmail every now and then. He threatens people that if his proposed bill does not get passed through his insisted unconstitutional method, he would resign. In spite of an assurance of support from both opposition and alliance in case he follows the procedure, he does not. He undermines the protocol and Lt Governor and tries to push things in his usual unruly ways. Finally he resigns after making false allegations against other parties. The brief story of his ascent and resignation only that of his lack of accountability, untrustworthiness and dishonesty. Five year tenure for a government is not laid down for no reason – it is meant to allow the government function, consistently perform its basic duties while taking time for well thought out reforms as needed. Leaving a position within two months is considered unprofessional and unethical even in small time jobs, unless one can demonstrate and indispensable reason. To quit government in less than two months without any compelling reason like sabotage is unforgivable. Kejriwal must know that legislation is a small part of governance – majority of governance involves execution and implementation of what is already legislated. Can the country afford such unreliable leaders to be voted to power? Forget power, can they be trusted to function responsibly even in opposition? In spite of conducting so irresponsibly if they think they can audaciously compete for lok sabha polls, is it bringing down politics or reforming it? The real test of someone’s conformance with an open society democracy is the way they deal with dissent and opposition. The congress has a history of suppressing dissent and opposition for want of truth in their favor – right from illegitimately trying to fix opponents into fake cases and character assassination to banning books. Whether it is the targeting of Savarkar and RSS in 1948 or emergency or the recent bogie of Hindu terror, congress leadership in its socialist friendship conducted itself in the most inimical way to an open society democracy. 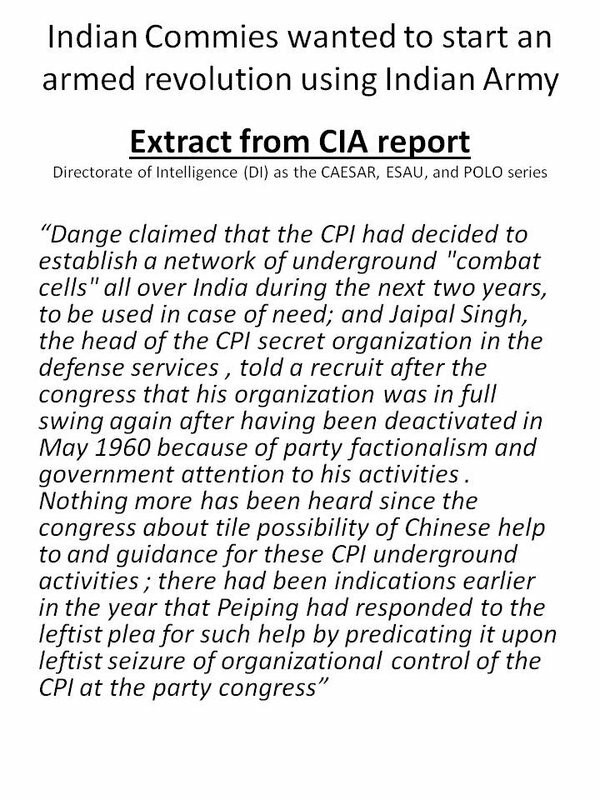 Communist parties always stood one step ahead of congress in this matter. AAP with its cong-naxal background can therefore not be expected to augur well for any open society democracy. Legislations are meant to be proposed, presented, reviewed, revised, refined until they are found to be in perfect consonance with existing law and implementable. The purpose of dissent is so thoroughly undermined by Kejriwal that he does not fit into any kind of democracy. It is as if he has the right to dissent with out of power and there can be no dissent when he is in power. Such duplicity is not just his individual trait but of his unfit-for-democracy party. Can any democracy or a civilized society allow such unruly, anti-social and rowdy element to lead it? This being the fact, the party calling itself a common man party is where the real deception lies. Open society democracy is of the people precisely because it is of the common man – there is nothing more inimical to the interests of the common man than being damaging to democracy and democratic methods. The anti-corruption movement that was initially started by the nationalists threatened the corrupt and congress because its primary agenda included not just prosecuting scamsters but bringing back the black money from abroad. Right from 2G and coal allocation several scams were exposed and brought into public awareness. Bringing back black money stashed abroad was one of the major demands of the anti-corruption agitators like Ramdev Baba. AAP or its gang did not expose any of the scams or corruption – they happen to be exposed by the nationalists. Kejriwal merely repeated some allegations against Robert Vadra, riding on someone else’s work to gain some public space. Prashant Bhushan tried to hog the limelight for 2G expose he did not do – it was exposed by Pioneer. Black money issue was completely subverted by friends of congress – black money is not just about fiscal corruption, it is anti-social in many ways and AAP hides this more dangerous aspect, vacuously making noise in the name of corruption, trying to equate pickpocketing to treason. AAP hijacked the original agenda of anti-corruption, fizzled it out of its spirit and word, reduced it to some farce of a law and then finally aligned with the party that has been looting the country for decades. Kejriwal made false allegations against Nitin Gadkari and retreated when asked for proof. He called Modi corrupt, which even congress did not dare accuse. So essentially he brought down the movement from its roots in truth to the realm of allegations and mudslinging. This is a bigger sabotage of the otherwise sustained anti-corruption activity in the country. Kejriwal cynically abused and misused the public sentiment against corruption to malign the BJP while carefully covered up congress in multiple steps. Not surprisingly for skeptics, the moment AAP got to power there is no talk of congress corruption anymore, Sheila Dixit and other scamsters are no more villains. This deception seems to be lost on many, in the vain hope that Kejriwal needs more time to do things right. However Skeptics cannot ignore the possibility of the cynical way in which sample scapegoats are being kept ready to be sacrificed for elections – while the AAP agenda has nothing that can contain or catch the biggest criminals. It is not an exaggeration to say Kejriwal was brought to render the anti-corruption agitation harmless for the congress – his achievement is precisely that. Many quickly jump to call this a ‘conspiracy theory’, as though conspiracy needs an evidence. 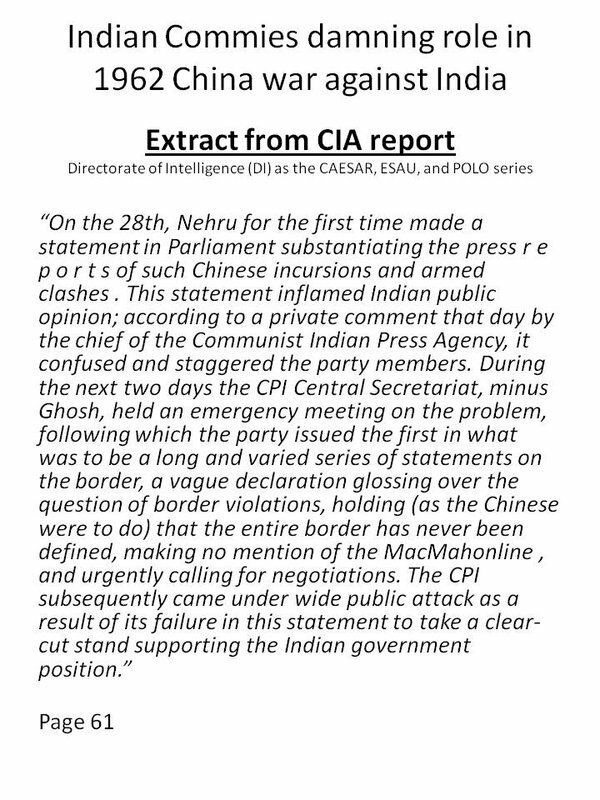 But we have not proceeded from allegation to data – we are proceeding from data to deduction and that leaves no scope for calling this a conspiracy theory or a speculation. Now whether his ‘intentions are good’, whether he meant to fizzle down the movement or did it by mistake is for him to demonstrate, because it is his actions in question ultimately. 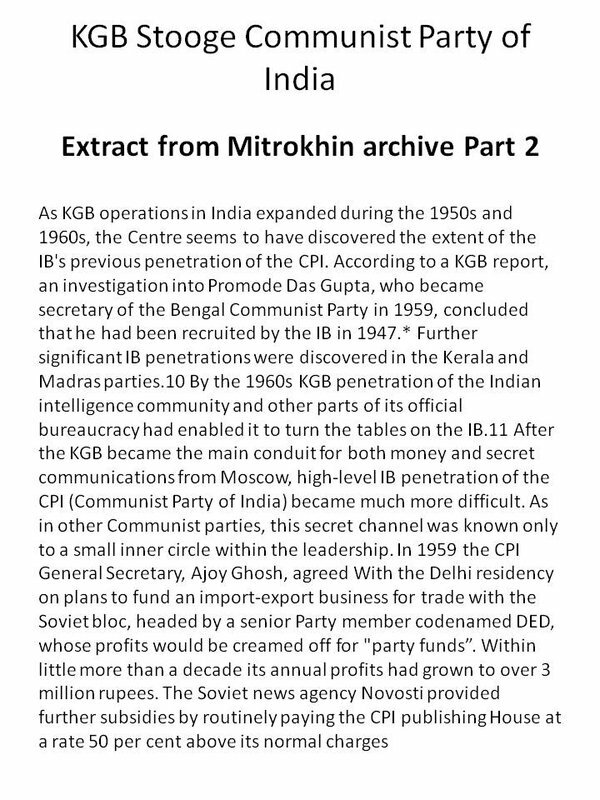 Corruption itself, is one of the several problems – being fiscally non-corrupt is a virtue of many commies of Bengal and Kerala, does that save the destruction they did in these regions? And if one were to bear a sense of proportion, both stagnation and growth of a society involve both corrupt and non-corrupt methods. To disorient the public discourse as though corruption is the only issue and suppressing topics of importance, is in itself deception of people. Look at the way issues of foreign funding or anti-nationals like Prashant Bhushan in the party or Kejriwal’s dubious friends like NAC members, convicted criminals like Binayak Sen become non-issues when in reality they are far more serious problems than corruption. 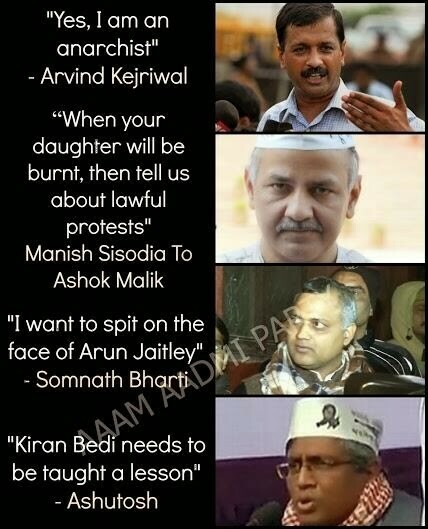 Who does AAP actually threaten? 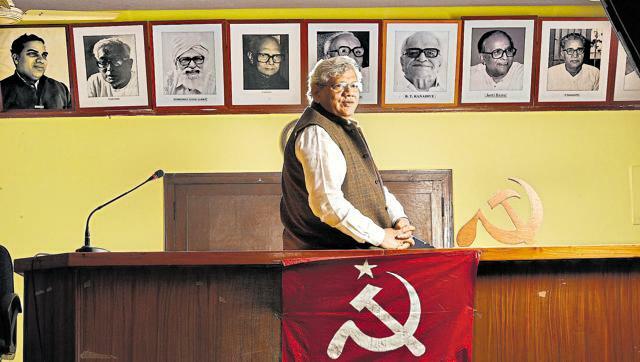 India in the days of Russian friendship has seen a dangerous consolidation of communists in politics and academics. 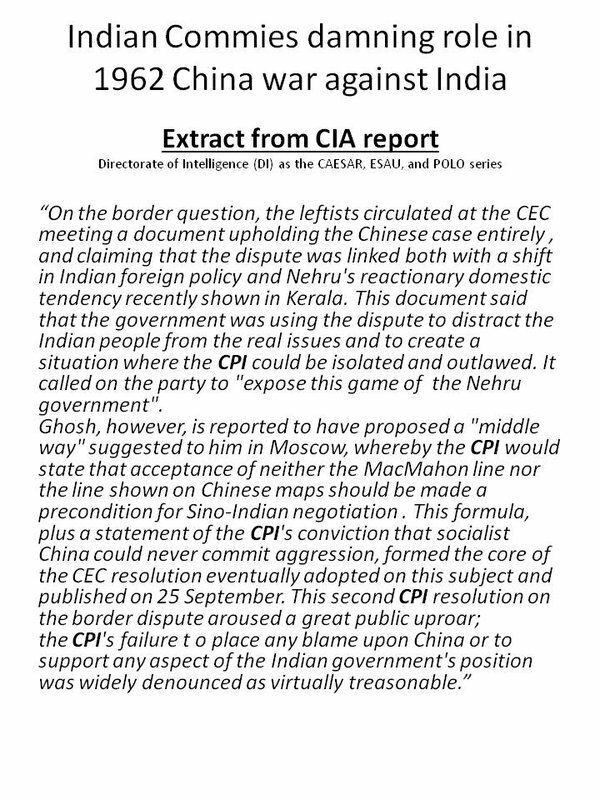 Naxalite movements, communist parties and communist influence within congress party rose steeply. 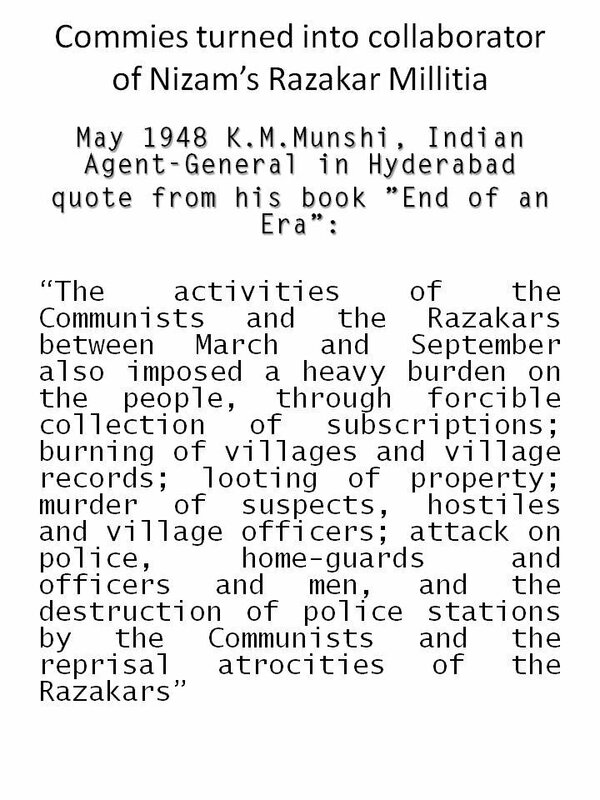 While their stranglehold on academics remains, the naxalite movements and communist hegemony was controlled to an extent after the fall of USSR. 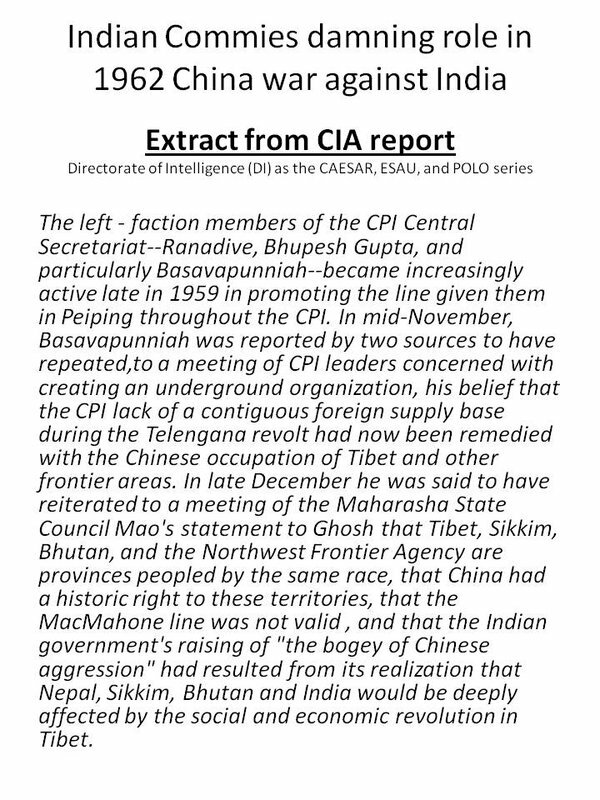 Maoism, a Chinese gift is still being fought. Economic revival is threatened with its freebie culture and anti-investment climate they are creating. Development of the country is threatened by its apathy towards infrastructure and job creation. Both internal and external security is threatened, with the way the likes of AAP try to weaken the morale of security forces and align openly with naxals and jihadis. Integrity of the nation is threatened by their antagonism to the core identity of the nation. Social order and harmony are threatened by their anarchist ways. It threatens the nation more than anyone and anything. That AAP does not threaten congress, that it is meant to protect congress, that its challenge is to BJP and other nationalists should by now be clear to any observant mind. That a vote for AAP is an indirect vote for congress, is already said by some – but it should be realized that a vote for AAP is a vote against the stability and development of the nation, and an invitation of danger to the nation. Outfits like AAP are floated to cynically exploit anti-incumbency, to curtail the strong anti-congress sentiment from expressing itself in the ballot, which is essentially an antithesis of democracy. Keep the person and outfit as long as it suits, merge him back when it suits. PRP and TRS of Andhra Pradesh are precursors of AAP in this matter. It is their success that made congress attempt AAP in Delhi. A partial success of AAP in Delhi was sufficient to prevent a good government – and emboldens them for a bigger bait in loksabha. However their actions and intent are both clear by now, and the common man should by now be seeing through those. AAP is not the only player in this, though. Third front, a prospective stitch of currently pro-congress parties like the SP and JD, is another similar attempt at dividing anti-congress vote and reinstating congress in power through the back door. The fact that a third front conveniently keeps forming and disintegrating, is itself the evidence. Sometimes it is a left front, sometimes third front, sometimes it is AAP. Goal remains the same – preventing a strong nationalist dispensation by fracturing votes. A strong nationalist dispensation hampers the prospects of petty and selfish politicians and remains their biggest enemy. There is no other reason why these savers of congress, be it AAP or JD or SP should hate BJP or RSS so much. 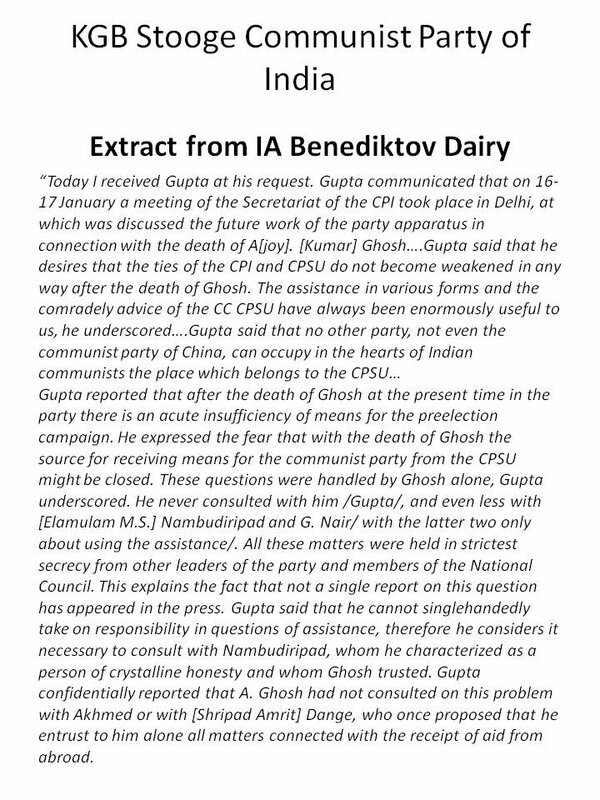 This entry was posted in Nation, Threats and tagged Aam Aadmi Party, AAP, Anarchy, democracy, development, India, Shades of communism on February 17, 2014 by skandaveera. Assam was the only State in Bharat which defeated successive attempts at invasion by the Delhi Sultans and the Mughal Emperors. The state survived 17 invasions. Lachit Borphukan and many other brave kings and generals ensured that the North East of Bharat remained free from the Muslim invasions. 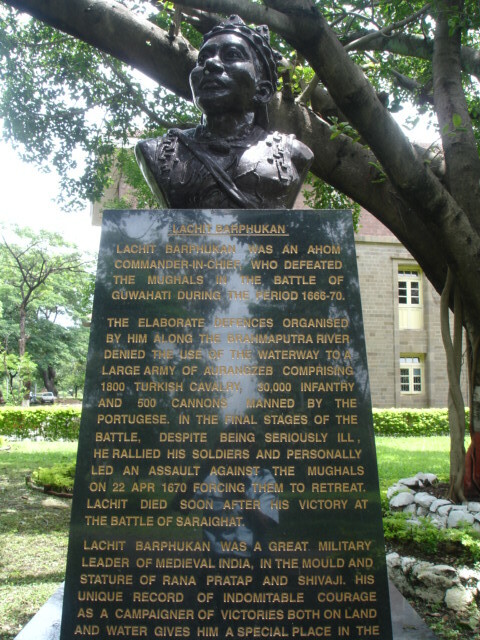 Lachit Borphukan was a commander in the Ahom kingdom known for his leadership in the 1671 Battle of Saraighat that thwarted a drawn-out attempt by Mughal forces under the command of Ramsingh I to take back Kamrup. In the mid 1600s the Mughal Empire was in the noontide of its glory – one of the greatest and largest empires in the world with a power army to match it. 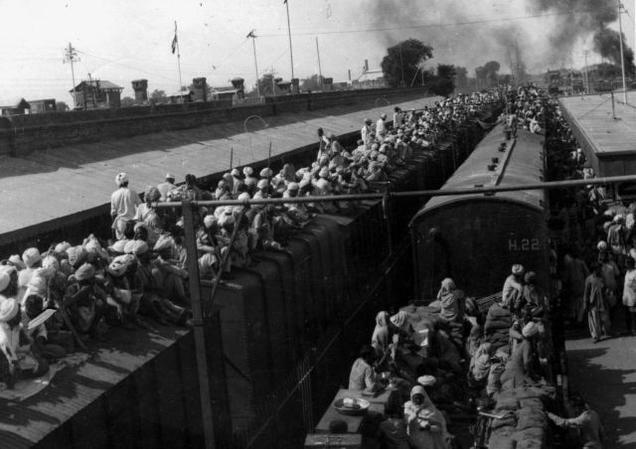 By force and conciliation it had overrun a large part of India before their fanatical policies of religious persecution led to a series of uprisings and revolutions that brought the entire empire crashing into the dustbin of history. Popularly referred to as Momai Tamuli, the first Borbarua and also Commander-in-Chief of Ahom forces during the reign of King Prataapa Singha. Momai Tamuli ensured that his son Lachit was properly educated in the disciplines necessary for nobility. After the completion of his formal education, Lachit was appointed as the scarf bearer of the Ahom Swargadeo, a post equivalent to that of a private secretary. From his father, Lachit had inherited an unwavering sense of duty, involvement and loyalty. He now immersed himself completely in the preparations for the war. He was a harsh taskmaster, but very sincere to his job that he did not hesitate to behead even his uncle, who was found to be negligent on duty during an important situation of the war. In August 1667, Lachit accompanied by Atan Burhagohain lead the Ahom warriors towards Guwahati. In November 1667, he captured the Itakhuli fort and later drove the Mughal forces beyond Manas after taking the faujdar Firruz Khan as prisoner. Lachit Borphukan anticipated such an move by the Mughals. Therefore, immediately after capturing Guwahati he began strengthening the defenses around the Ahom territory. He used the Brahmaputra as a natural perimeter defense and augmented her banks with stockades and mud embankments. 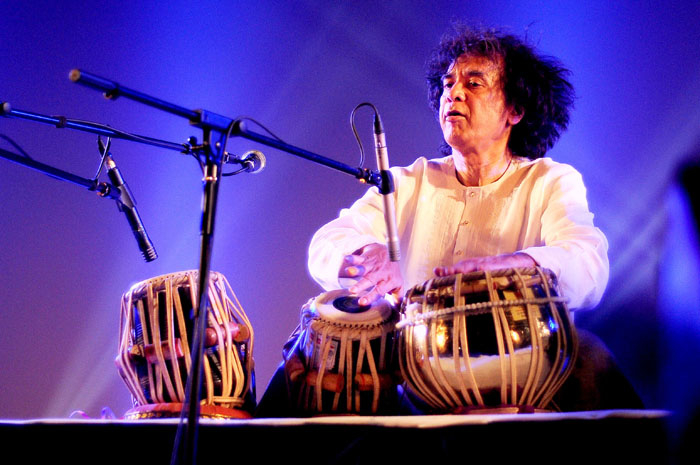 He was fully aware that he did not stand a chance against the Mughal troops on the plains. He cleverly choose the hilly and forested terrain just outside Guwahati as his battleground, were the Ahom warriors had an advantage over the Mughals. The Mughal forces attacked Guwahati in March 1669 and for over a year laid siege to it. During he entire period, the Mughals could not achieve any breakthrough as the Ahoms had erected secure defences . 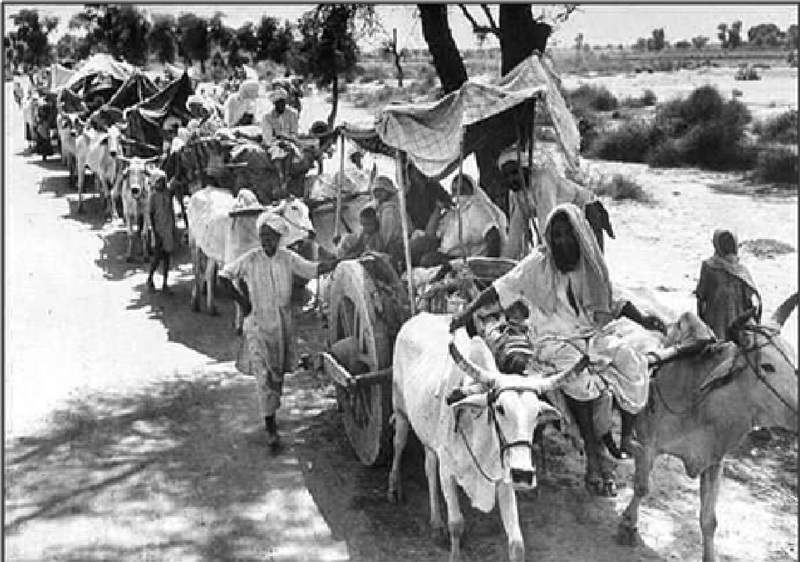 The unaccustomed terrain and climate also turned against the Mughal forces. The Ahoms had the advantage and were using it fully by conducting guerilla raids against the Mughal troops. The Mughals tried to sow dissension among the Ahoms through trickery. They shot an arrow into the Ahom camp with a letter addressed to Lachit. In that letter, the Mughals offered to pay Lachit one lakh rupees and urged him to evacuate Guwahati. This incident was informed to the Ahom king, which raised doubts in his mind about the loyalty of Lachit. 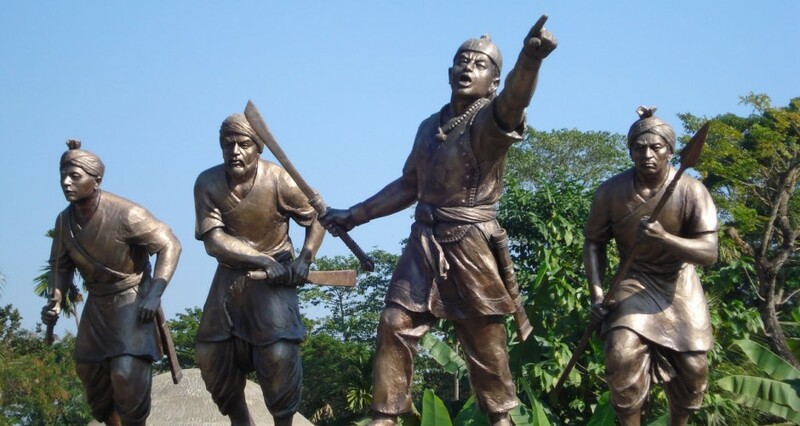 Atan Burhagohain quelled the king’s doubts about Lachit’s loyalty. Followed by this the Mughals lured the Ahoms for a confrontation on the plains. The Ahom king urged Lachit to take this up as a challenge. A small force of Mughal troops commanded by Mir Nawab was to engage the Ahom warriors at Alaboi. The Ahoms had made elaborate preparations and concealed their reinforcement in trenches. 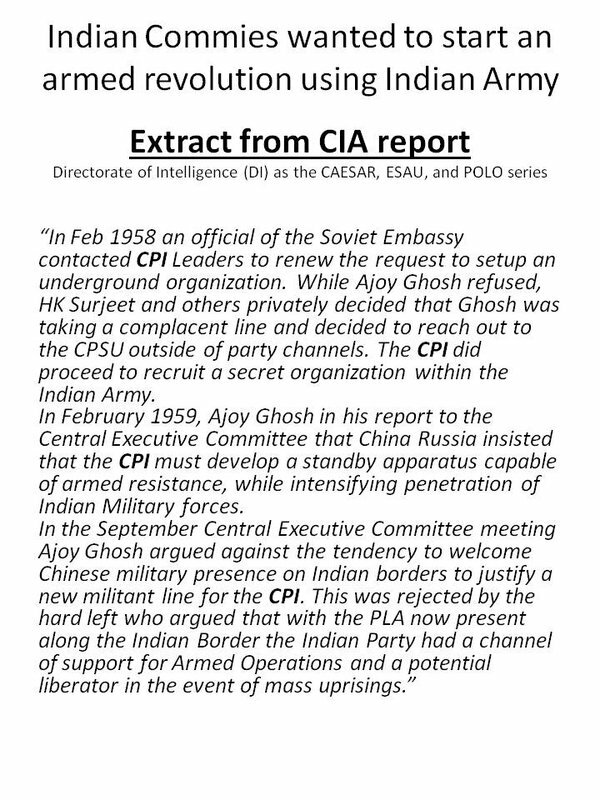 This helped the Ahoms capture Mir Nawab and rout his troops. The Mughals enraged by this defeat let loose their entire forces on the Ahoms that led to a massacre of 10,000 Ahom warriors. Lachit withdrew his forces up to the Itakhuli fort after this major setback. While the war was raging on, the Ahom king Chakradhwaja Singha died. 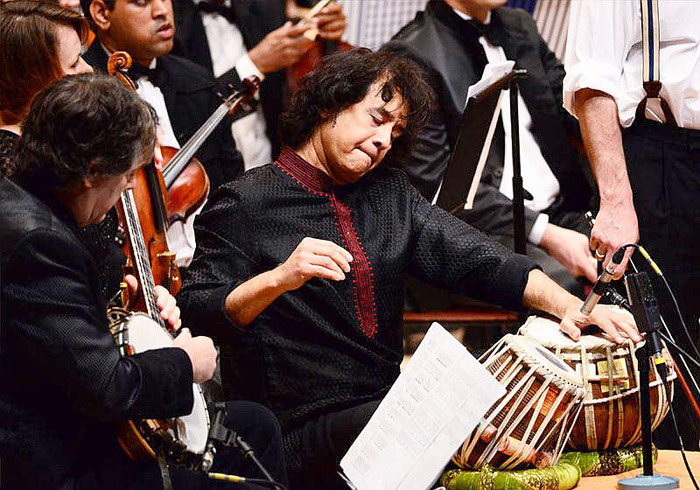 He was succeeded by Udayaaditya Singha. Observing that none of the Mughal strategies were successful, Ram Singh offered the Ahoms 300,000 rupees to give up their claim on Guwahati and return to an earlier treaty agreed in 1639. However, this was fiercely opposed by Atan Burhagohain, who raised the suspicion that the tyrannical emperor of Delhi may not abide by this proposal. Meanwhile, Munnawar Khan, the Mughal admiral joined Ram Singh, with a rebuking message from Aurangzeb to make war with the Ahoms and not friendship. Ram Singh was now forced to move in full strength against the Ahoms. He was informed of a breach in the embankment near Andharubali. At this time, Lachit was down with severe illness and could not actively oversee the battle preparations. The Ahom army was demoralized after their defeat at the hands of the Mughals in the previous battle at Alaboi. When they saw the huge enemy boats looming nearer, they were devastated and were on the brink of deserting and fleeing the scene. Sensing this, Lachit immediately ordered a flotilla of seven boats to be prepared for him and forced himself from the sickbed and on to the boats. He firmly stated that regardless of what happens, he will never desert his country. Seeing their general back on foot and hearing his words gave the Ahoms a big morale boost. All soldiers rushed to Lachit’s side and their numbers swelled immediately. The Ahoms launched their small boats and Lachit led them to a head on confrontation with the Mughals in the middle of the river. The smaller Ahom boats had greater maneuverability as opposed to the large Mughal vessels. The Mughal boats were stuck in the water unable to navigate efficiently. In a closely fought battle, the Mughals were decisively defeated. The Mughal admiral Munnawar Khan was killed in battle. Many of the Mughal commanders and numerous troops were also killed. The Ahoms chased the Mughals upto the Manas, which was the western boundary of the Ahom. 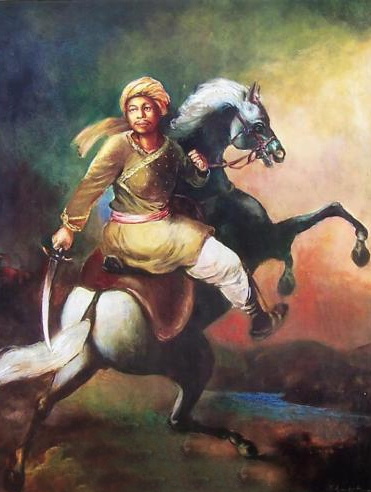 Lachit also instructed his troops to be always alert for counterattacks from the Mughals. All these events are presumed to have taken place in the month of March in the year 1671. Though Lachit emerged victorious in the war against the Mughals and restored the glory and dignity of Ahoms, the strains of war had taken their toll on him. He never recovered from his illness and died an year later in April 1672. He was put to rest at the Lachit Maidan built by the King Udayaditya Singh at Hoolungapara in 1672. His statue was unveiled at the National Defense Academy at Khadakwasla in 2000 by then Governor of Assam, Lt. Gen. S K Sinha. Every year the best cadet passing out of the Academy is awarded the Lachit Medal . Nov 24th is commemorated as Lachit Divas in remembrance of this heroic son of Maa Bharati. This entry was posted in Biosketch, Hindu Dharma, History, Nation and tagged Assam, Freedom fighters, Hindutva, India, Lachit Borphukan, National Defence Academy, North East, North East India on February 1, 2014 by arisebharat. Indian text books, it seems are written with the sole purpose of ensuring that Indians remain a diffident race and forever look upto the foreigners as their source of strength and succour. Historians owing their allegiance outside of Bharat have been involved in writing history books which present distorted versions so as to show that we are a race of losers. 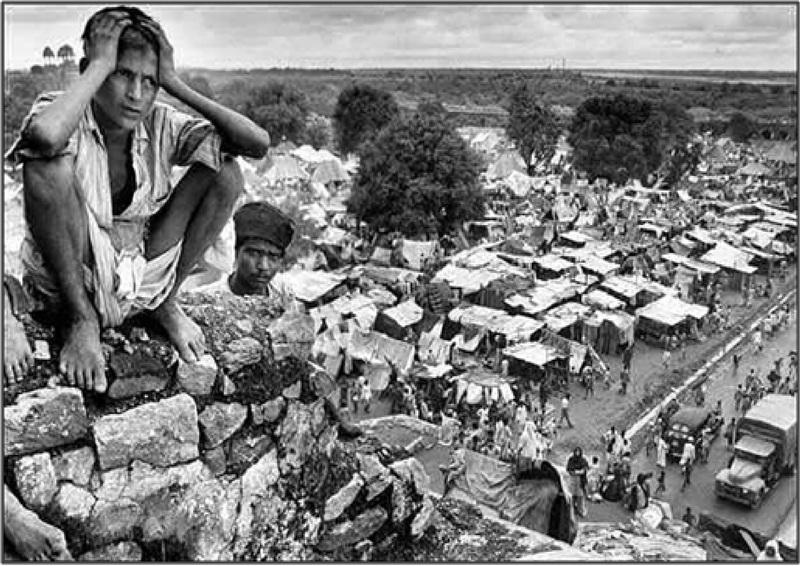 Unfortunately, post-Independence we had a Prime Minister and an Education Minister who were both convinced that Bharat’s past had nothing inspirational to offer. 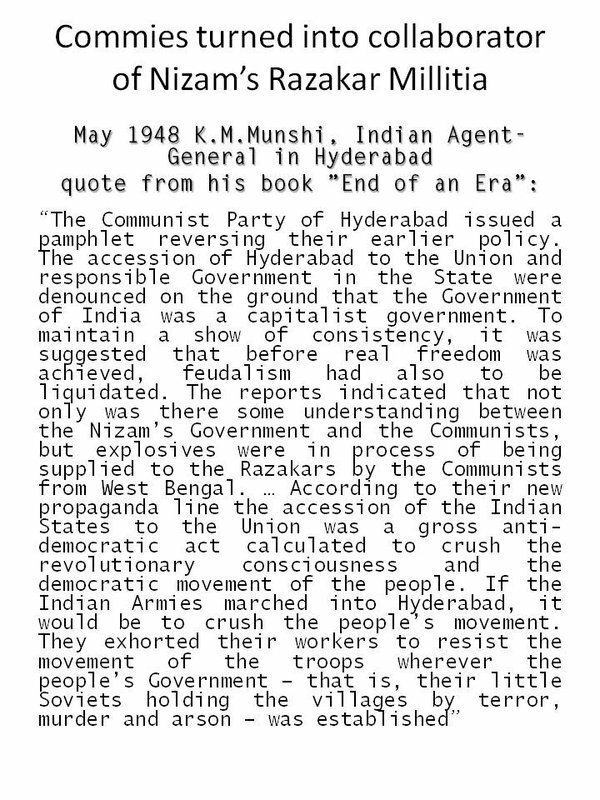 The articles below by Sri Rakesh Krishnan Simha must be read by all the youth of Bharat and pressure must be built on the government to take up re-writing of history to infuse patriotism and pride among the youth. A short Summary :Alexander’s invasion of India is regarded as a huge Western victory against the disorganised East. But according to Marshal Gregory Zhukov, the largely Macedonian army suffered a fate worse than Napoleon in Russia . In 1957, while addressing the cadets of the Indian Military Academy, Dehra Dun, Zhukov said Alexander’s actions after the Battle of Hydaspes suggest he had suffered an outright defeat. In Zhukov’s view, Alexander had suffered a greater setback in India than Napoleon in Russia. This entry was posted in History, Nation and tagged Alexander, Greek invasion of India, India, Porus, Sindh on January 10, 2014 by arisebharat.